Meet the Cool Characters Behind Clarence! 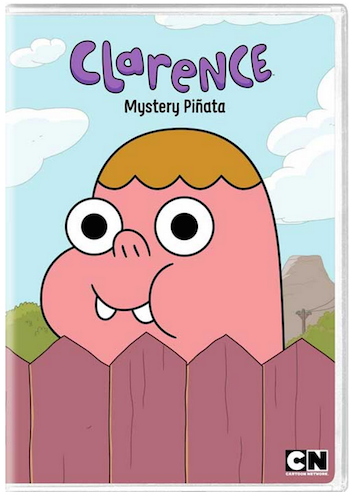 In celebration of tomorrow’s DVD release of Cartoon Network’s Clarence: Mystery Piñata, check out these fun clips character Bio slideshow so you can get to know cool characters behind this funny series! After seeing this video i can’t stop myself to laugh.Can you share more such videos with us. This is so cute! My niece will be wanting to watch this show on DVD! She loves it. The clip is so cute and fun. Oh my nephew was just talking about this the other day and I had no idea what he was talking about! It looks so funny! Would be a great gift for his upcoming birthday! Can you please share such one’s with us, Loved It!